Minimising risks to data held on internal systems, websites and customer assets collected for recycling is of paramount importance. Stone Computers provides secure data handling and processing through effective Information Security Management aligned to various recognised standards and in compliance with GDPR. 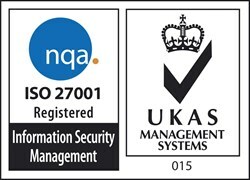 Our ISO27001 Certificate is available here. Please download our ADISA Certificate here. DIPCOG approval confirms Stone’s Recycling service as being at a security standard sufficient to satisfy the requirements of the MOD for ‘OFFICIAL’ category data and further demonstrates its capabilities to provide secure data disposal services.